A value, usually derived from a stock's price or volume, that an investor can use to try to anticipate future price movements. Indicators are divided into two groups: trend following or lagging and momentum or leading. Lagging indicators tell you what prices are doing now, or in the recent past, so they are useful when stocks are trending. A moving average is an example of a lagging indicator. Leading indicators are designed to anticipate future price action; many come in the form of oscillators, such as RSI. See our ChartSchool article on Introduction to Technical Indicators and Oscillators. The Industrial Metals Commodities Index ($GYX) charted by StockCharts.com is published by Goldman Sachs. The industrial metals listed include aluminum, copper and zinc. Chart $GYX in GalleryView. A grouping of companies in the same line of business. Industry groupings are more specific to the business than sector groupings. For example, the transportation sector includes air freight, airline, trucking, railroad and shipping industry groups. The first offering of common stock to the public. An additional aspect of market analysis that takes into consideration the price action of related market sectors. The four sectors are currencies, commodities, bonds and stocks. International markets are also included. This approach is based on the premise that all markets are interrelated and impact each other. Equity securities that are designed to track the stock market performance of a specific country. In particular, they are designed to emulate the performance of a specific Morgan Stanley Capital International (MSCI) index. The MSCI indices are not actively managed country funds, but rather baskets of stocks intended to correspond with the general performance of a country's stock market. For example, the Hong Kong WEB (EWH) is designed to correspond to the performance of the Hang Seng Index. A one-day bullish reversal pattern. In a downtrend, the open is lower, then it trades higher, but closes near its open, therefore looking like an inverted lollipop. Developed by Barclays Global Investors, iShares are index funds that trade like stocks. 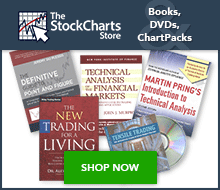 These shares can be bought or sold like normal stocks and are designed to track popular bond and stock market indexes.